When determining the serving size of any food, including spaghetti noodles, it is important to check the packaging. The U.S. Food and Drug Administration, or the FDA, requires that food packaging companies include a chart on the box that specifies how many servings are contained in each package, as well as how large an appropriate serving size is. Paying attention to the package information can help you make good nutritional choices. 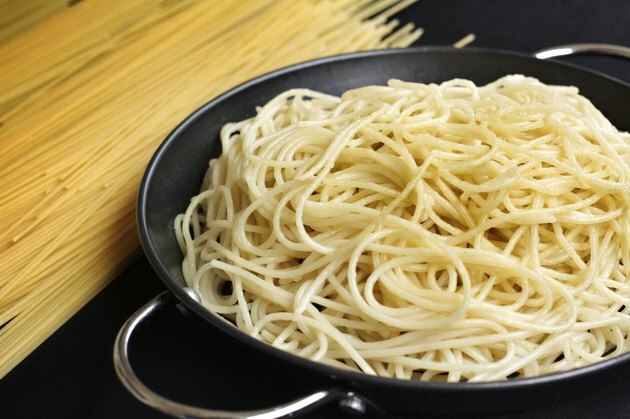 According to Medline Plus, the serving size for spaghetti noodles is usually 2 ounces of uncooked noodles, or 1 cup of cooked pasta. Look at the packaging to be sure. Remember that if you eat a bowl full of pasta without measuring, you may be consuming two or more servings, essentially doubling the number of calories, fat and carbohydrates that you would eat if you had only eaten one serving. You can estimate the amount of spaghetti that you put in your bowl, or you can use a measuring cup for a more accurate assessment of what you are eating. To guess how much pasta you have in front of you, the Meals Matter website suggests thinking of a rounded handful as approximately 1/2 cup. Two rounded handfuls would equal about a cup, or one serving, of noodles. Another way to estimate is to measure out 1 cup of cooked pasta and to study how much room it takes up in the bowl or on the plate. Keep the visual picture in mind for future meals. 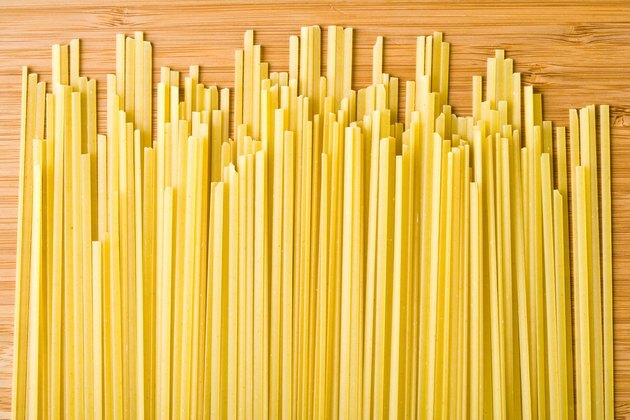 The National Pasta Association states that spaghetti noodles can be a beneficial part of your diet. Since most people should get about 2/3 of their calories from carbohydrates, whole-wheat noodles can help with that goal. Pasta does not contain cholesterol, and the whole-wheat version is a source of dietary fiber, says the National Institutes of Health. Enriched pasta contains folic acid, a vital nutrient for women of childbearing age, and little sodium. 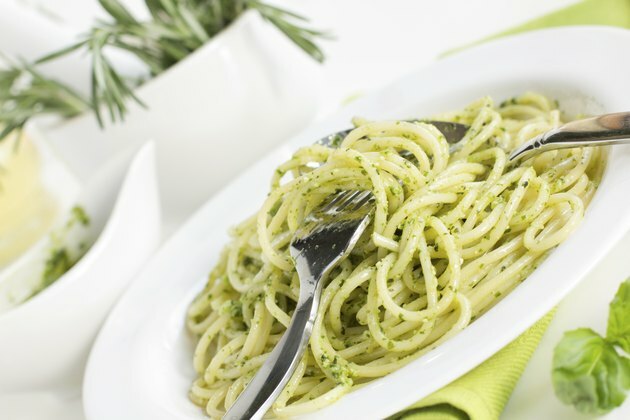 Some people think that drastically reducing carbohydrates and avoiding foods like spaghetti can help them lose weight. 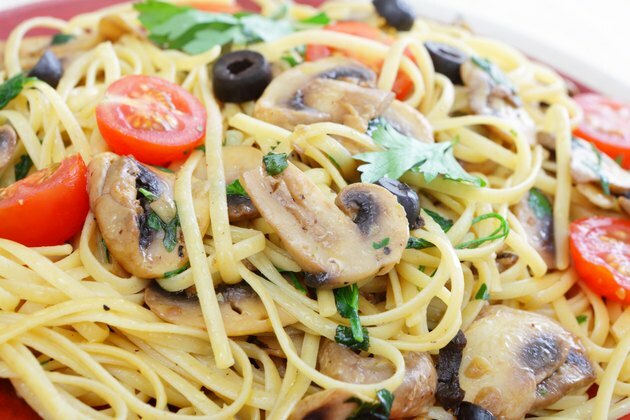 The National Pasta Association says, however, that while reducing calories will help you to lose weight, there is no proof that reducing carbohydrates makes much of a difference. Another misconception is that pasta is a simple carbohydrate, when it is in fact a complex carbohydrate that not only can sustain your energy level but also has a low glycemic index, keeping your blood sugar levels in check. 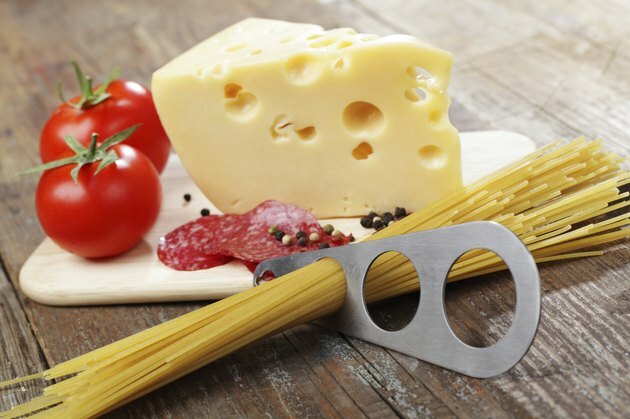 What you serve with your spaghetti noodles makes a big difference in the nutritional value of the meal. Jarred spaghetti sauces often contain a lot of sodium and sugars, negatively affecting the healthfulness of your noodles. Creamy Alfredo sauces contain fat that you may not want in your diet. Serving your pasta with fresh vegetables, poultry and a drizzle of olive oil can make your meal heart-healthy and diet-friendly. Another option is to make your own tomato sauce with fresh or no-salt-added canned tomatoes and fresh or dried seasonings. 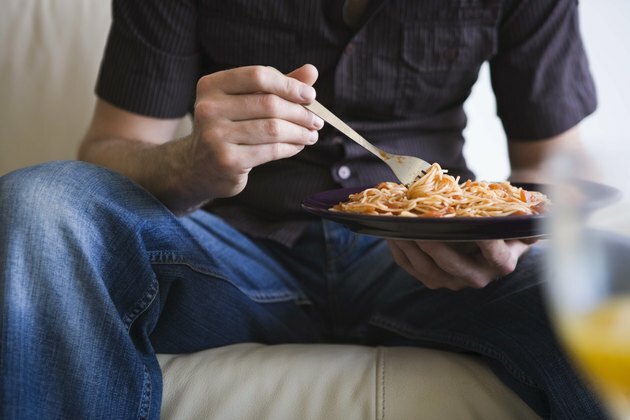 Does Pasta Make You Fat? Is Pasta Healthy to Eat?